In 2015, Joyce is taking a blog break and reposting past articles—first by popularity, then by theme—for your new discovery or re-enjoyment. See Coming in 2015: A Radical Rest—and Theme Repost Links for complete details. 1. Chiron Quiz: How Strong Is Your Chiron? (17-Aug-10) – 35.9% ATPV (all time page views). Please note that Comments are closed, capped at 100 for this post. 2. Radical Retrospective: The 200th Post (29-Apr-12) – 15.8% ATPV. Compare the Top 10 two-and-a-half years ago to the current list. Many remain. 3. Chiron in Pisces: Integration and Integrity (16-Apr-10) – 11.5% ATPV. What the last Chiron in Pisces from 1960-69 may tell us about the current swim of the Centaur in Fish. 4. Back to School: Jupiter and the 9th House, Part 2 of 3 (8-Sep-11) – 9.4% ATPV. Your planets in the 9th House and how they live there. 5. Emotional Maturity: The Secondary Progressed Moon Cycle (18-Apr-11), guest post by Mandi Lockley – 9.3% ATPV. How we typically grow and personalize the 27-28 year progressed Moon cycle. 6. Celebrate This Momentous Winter Solstice (5-Dec-12) – 4.3% ATPV. The potential for a flurry of cleansing and renewal as the Mayan calendar ends at Winter Solstice and alignment with the Galactic Center. 7. Humor: How the Signs Get Ready for the 2014 Cardinal Grand Cross (1-Feb-14) – 4.1% ATPV. How the Lot of 12 preps for—and reacts to—the prospect of an Astro-energetic tight squeeze. Acerbic Auntie Joyce offers “cures” for the signs that may be feint of heart. 8. The 2014 Creative Question: The Cardinal Grand Cross (19-Jan-14) – 3.4% ATPV. Winter retrogrades with their mega-opportunities for self-reflection melt into a personal “Big Bang” to set your creativity afire. 9. Oracular Spectacular (4-Aug-13) -3.3% ATPV. Astrology isn’t the only oracle in town. A primer on the use of tarot and other oracles and how to find the ones that work best for you. 10. 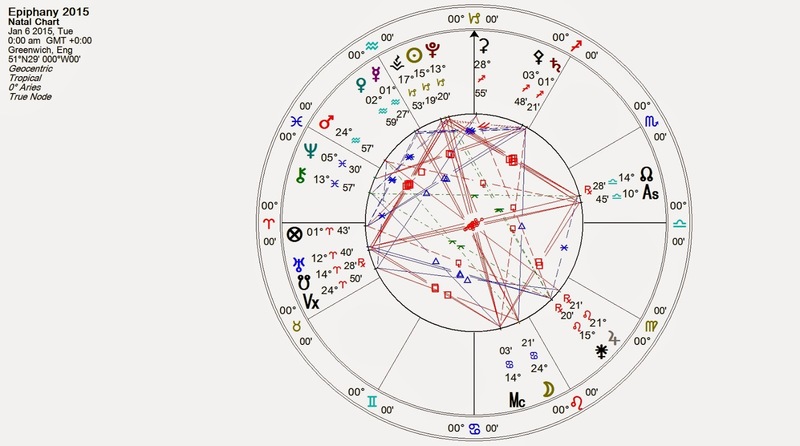 Uranus Square Pluto: Seven Exact Hits, Seven Chakra Realignments (5-Jul-12) – 3.0% ATPV. A primer on when and how to tune up each of your energy centers as the current Uranus-Pluto Square progresses to its finale in March 2015. I love Epiphany—not just because the Coming of the Three Wise Men shares the same word that means an aha or a sudden realization. I love it because it’s the 12th Day of Christmas, the culmination of a season of remembering who we are and why we’re here, regardless of our religious orientation. The weeks near the Winter Solstice are holy in nearly every tradition. While some of the world remains doubtful, most references talk about the Magi (singular magus meaning magician) as practitioners of astrology, alchemy and other esoteric arts. Then there’s the obvious fact that they followed stars and were also priest-followers of Zoroaster. Zoroastrian philosophy involved the exercise of constructive thoughts, words and deeds. As we wax into Epiphany this year, I can’t help but realize the parallels between the “star” posts (the most popular) on The Radical Virgo and the Star of Bethlehem. Both act as a kind of GPS to self-discovery—and once more to having that epiphany about who we really are—love. On Epiphany 2015, we have Jupiter and Saturn in a wide trine. More importantly, Saturn has just entered the sign Jupiter rules, Sagittarius. Certainly putting our beliefs into form will be an important, universal issue. We’re being called to walk our talk, to live and act according to our beliefs. The days of mere lip service are over. Saturn will take us to task to live up to who we are and to change the world around us from our highest visions. Statistics indicate you are more interested in Chiron than any other topic on this blog. 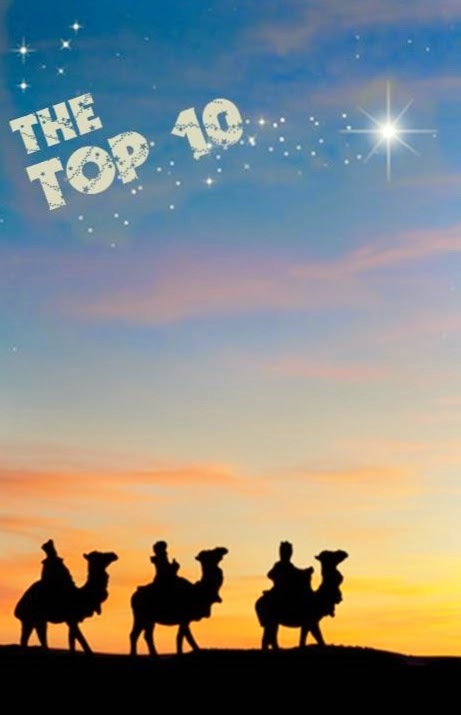 Two of the Top 10 include the Chiron Quiz to determine your Chiron Quotient or Chi-Q and my article on Chiron in Pisces. This pair of posts accounts for nearly half—47.4 percent—of the most visited offerings on this site since it was launched on Spring Equinox 2009. Somehow we all know, intuitively, that putting our own healing first is another first—the first step to achieving Peace on Earth and the principles we dream of out loud during this turning-point time of year. Looking at the patterns in the ten posts you most read, you like to look back (Radical Retrospective and 200th Post in second place). This bodes well for this year full of that kind of activity. You’re interested in learning from the past—and learning, period (Back to School: Jupiter and the 9th House). You’re especially impressed by aspect patterns, just like the Magi who were mesmerized with the signpost in lights Jupiter and Saturn sent up as a flare circa 7 B.C. You especially wanted to know about the end of the Mayan calendar in 2012 and what it meant and continues to mean to us. You were captivated by the perils and possibilities inherent in the Cardinal Grand Cross of 2013 and the Uranus-Pluto Square of 2012, still going until its last exact alignment on St. Patrick’s Day 2015. Last but not least, you care about the Moon—feelings and quality of life—as reflected by the fifth most popular article, a guest post by British astrologer Mandi Lockley on the secondary progressed Moon cycle and its relationship to emotional maturity. Isn’t that, in the end, what we’re trying to do here? To use our experience on Earth to “grow Up” in spirit as much as we can, somehow tied to emotion and desire, those things that precede manifestation in the physical? It’s what the earth plane is all about.